How Did These 2017 Email Marketing Predictions Work Out? 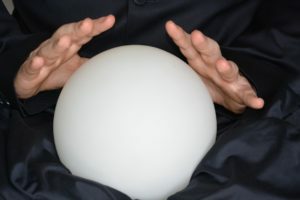 Were the email marketing predictions right? 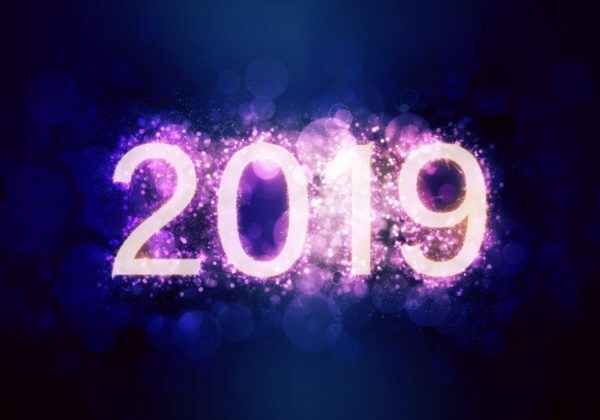 Early in 2017, there were at least seven email marketing predictions made for the year ahead. Now it’s 2018; we want to look at whether these trends came to pass, or if they were completely wrong. Here’s our verdict of what happened. To be honest, this prediction was true even before the year had started. 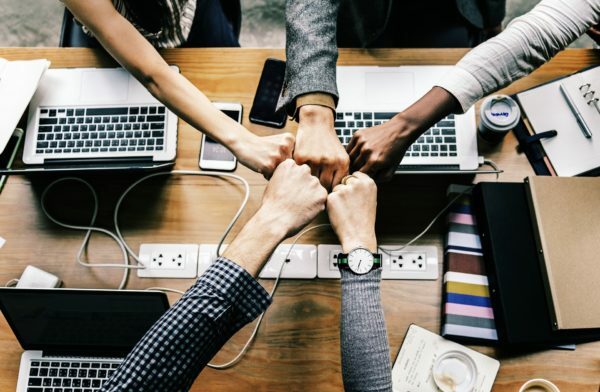 Data-driven marketing is not just good practice; it’s the only way to optimise your marketing, retain customer loyalty, and return the highest return on your marketing campaigns. Data is valuable but only if used right. You should be looking at the behaviours of those on your list and determine what the next piece of relevant content should be for them in their customer journey. Then you should send only relevant content to them. Anything else is a waste of time, resources, and potential revenue for your business. While mobile payments have come to the email marketing sphere, they aren’t commonly used yet. There are a couple of reasons for this. Firstly, security and privacy – consumers might be apprehensive about payment requests in emails because they look like malicious emails sent every day. Another concern is cart abandonment. Is there a fool proof way to determine who is interested but not completing an order? Some predicted that email personalisation would reach a new level with the design of the email changing based on the subscriber and their preferences/behaviours. This is certainly a powerful trait if it could be realised, but there has been little adoption of this practice. It wouldn’t take much to implement this strategy, so perhaps this will happen in the coming year? The biggest challenge here is those who view the email online who aren’t subscribers, or when a subscriber forwards an email on to someone else. Will the email change with the new user or will it look ugly with the heavy code it will need? Automation has been a key factor of email marketing in recent years, and technological improvements have allowed for the processes to get even better. Without automation, costs are high, but now automation allows your business to send emails based on simple behaviours and actions they’ve taken. Inactivity for a set period. These are critical activities for customers and should therefore have an element of automation. This is one of the developments of 2017, with devices like Amazon Echo and Google Home being extensively used. While these devices have had issues, they are highly useful tools for marketers that can determine a user’s likes, dislikes, and consumer purchasing behaviour. Other data sources can also feed into this information to give marketers a significant picture of how users live and determine what they need and when. Therefore, customers can be provided with the most relevant information at exactly the right time. Those who thought this was a new trend are certainly wrong. The more information you have on your prospects, the better you can give them the information they need to make an informed purchasing decision. At the very least you need to collect their name and behaviour on your website. Also, you can collect other information such as interests, objectives, and who they’ve worked with before. This can be collected via a few different tools. Beforehand we always looked at how many people opened and clicked through from emails. These were benchmarks we all assessed email campaigns against. However, in today’s modern world, these aren’t enough, and there are other statistics we should be looking at to determine the success of campaigns and what the next stage in email strategies should be. The main adoption would be ROI. However, other statistics will become useful including renewals, repeat orders, etc. There were lots of predictions for email marketing in 2017. Some have already come to pass while others have not yet. In 2018, we are going to see more email marketing trends develop and the campaigns becoming more effective. After all, email marketing still reigns as the most profitable digital marketing sales avenue. What changes have you made to your email marketing in 2017? What changes will you make in 2018? What are the best email marketing subject lines? The subject line you use in an email is more important than you probably realise. 47% of email users will open an email based on the subject line alone. In addition, some 68% of email users will unsubscribe from an email marketing list based on your subject line. A reason for the reader to open the email. This sounds like a lot for a single line. But it is achievable. 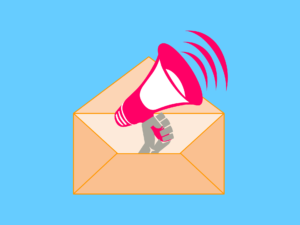 There are some great examples of email marketing subject lines, and they can often be grouped into several different categories. Below we have given you some examples, so you can try to identify what subject lines most align with your offer and message. Then you can tailor these to be specific to your audience and brand. Nobody wants to miss an offer, and brands take advantage of this psychological need of consumers. Subject lines that want to use this either contain scarcity and/or urgency. Time-sensitive emails especially have proven to increase open rates. Two things to note; writing in capital letters is sometimes viewed as spam, and personalisation, such as including offers relevant to subscriber activity, can increase open rates. People love to make discoveries, and email subject lines that attempt to hide some information can receive higher open rates. There are several ways you can do this, which include leaving your subject line open-ended or asking your audience a question. Including humour in your emails can be really successful because people love to laugh, which is why comedy programmes, like Friends and The Big Bang Theory, become huge hits and multimillion-dollar programs which keep viewers coming back again and again. The two programs mentioned use their own version of the subject line (Episode Title) to make a humorous remark to entice audiences to take interest in the episode. Likewise, you can create subject lines that make your audience laugh and want to open your email. People want to feel special and that an email sent to them is literally only for them. They also want to have content that is relevant to their needs and behaviour. There’s no point sending a discount for kids’ clothes to someone who has no children! Research has also shown that personalisation can boost email open rates by 29.3%. What subject lines will you use for your business? Have you tried any others that have worked well? An email list is one of the best marketing assets your business will have. The Return On Investment for email marketing far exceeds that of any other digital marketing streams. That’s why business leaders and marketers try very hard to build a large marketing list. However, some business leaders and marketers, in their rush to grow a big list, will buy email details. The advantage of this is that you can collect a large list of emails very quickly and with limited cost. But there are significant risks to buying an email list – ones which could make it very hard for your business to even market itself. Here’s a list of reasons why you shouldn’t buy an email list. 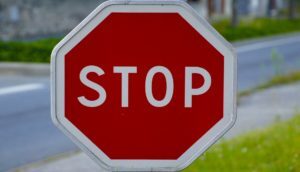 One of the most important arguments against buying an email marketing list is that it’s against the law to market to individuals who have not given you permission to contact them. If you fail to adhere to this rule and market to those who have not given you permission, you can be fined. Without direct communication with the email’s owner – you have no idea whether they have given permission to be contacted for marketing and they haven’t given you permission anyway. Even a B2B marketing list can suffer the same disaster. Any sole trader or partner business is treated as an individual and therefore, you need their contact details. Incorporated emails can only be emailed without permission if they don’t contain any identifiable information, i.e. their name. 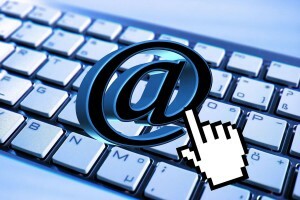 Fake or outdated email addresses are a major issue when buying an email list. Even email address you can’t deliver to increase your costs to send but offer you no benefit. Also, they can slow down your email server which can affect how your business works. Also, if you use email marketing service providers, fake and outdated email addresses uploaded to their servers will be reported. In most cases, the email marketing service provider will cancel your contract. Email marketing lists that are bought have a significantly lower engagement rate than those which are collected organically. Therefore, the return on investment can be significantly lower, and in fact, the money might as well be spent on other, more white-list strategies such as SEO and PPC. One of the costliest repercussions of your email marketing list being bought is that your email server can be blacklisted. This happens when too many of your ‘subscribers’ state you are spam, or complain that they didn’t subscribe to your marketing emails. Eventually, a mail server will be blacklisted that will prevent emails from being delivered. The only way to repair this is to start over with your email server – but this is very expensive and time-consuming. Whether you work on your email campaigns, or another member of your team does, using an email marketing list can be a morale killer. Imagine you buy a list of 100,000 and just 100 or 200 of those reply to your email with emails such as ‘not interested,’ ‘stop emailing me,’ or ‘stop spamming me.’ This isn’t good for morale, nor is a higher unsubscribe rate. This can have a disastrous impact on how you or others see the business. This can lower productivity and lessen positive interactions between those staff and genuine customers. Therefore, real sales can be reduced hurting your business’ revenue stream. Buying an email list is not the best process for growing your assets and business. Instead, you need to grow your business’ organic email subscription by using lead magnets, online forms, and other methods to attract potential customers to subscribe and read content they want to hear. This might be the long-term strategy, but it is the best for costs and return. Have you ever bought an email list before? What happened? If you look online, there’s a lot of advice about email marketing. Some of it’s great, it will help you expand your brand’s mailing list and convert more people, but not all the advice out there is good for your business. Some information out there can damage your brand’s image and cost you financially. Here are six of the worst email marketing tips. This is possibly the worst email marketing tip you could ever read. In many countries, contacting people via e-mail without their permission is against legislation. 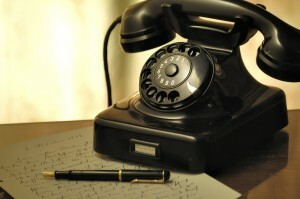 For instance, in North America and Europe, you can’t contact someone for marketing purposes without their permission. This is a type of spam that can have your mail server blacklisted, preventing you from contacting anyone, or you could receive a fine. Email addresses should never be bought. For some countries, particularly Canada and US states, you should be using the Double Opt-in Subscription system to ensure that audiences want to receive your marketing information. Like with everything, consumers are all different. They’ll have different motivations, challenges, etc. that you need to discover and market to. Sending messages that have no appeal to your audience won’t convince them to buy. By not even mentioning the receiver’s name on their email, you are demonstrating your lack of care for the individual. How the audience is addressed can have a massive impact on conversions. So, don’t skimp on personalisation. As well as addressing them by name, think about their behaviours and incorporate that in the email copy. Testing your content against your audience is an important aspect of marketing. One of the best ways to test content is to A/B test it (split testing). This is where you divide your audience into two groups and then make a small change to the content (i.e. different font). Then you can look at the results and see which content your audience prefers. It’s best to always test your content with one small change at a time. Your marketing campaigns should be tested regularly, as you won’t know what the best optimisation for your brand is until you’ve exhausted all possibilities. Considering there are an unlimited number of combinations, this should mean there is never a time you won’t be testing. Have you ever read an email or text in capital letters? It seems like that the person is shouting to get your attention. This isn’t the image you want to portray; why would anyone buy from you if you are shouting at them? They are more likely to unsubscribe and never engage with your brand again. While capital letters can be used to highlight something in an email, it should seldom be used. It’s much better to highlight content using bold lettering or a call to action. Another piece of poor advice is to not worry about what time you send emails. Firstly, this can damage visibility of your content. If you send them at busy periods, then your marketing messages will be lost in the sea of emails someone receives. Secondly, if you send the emails at the wrong time, the email could be ignored, and they might not catch the email until the offer has expired. Instead, you need to discover the best time for your brand to send emails. While there’s a lot of information available about this online, it might not be accurate. Every audience has different behaviours, and therefore, you should test your audience’s preferences. Email marketing is one of the best ways to promote your business and convert customers. There is a lot of information online about the ‘best practices’ for email marketing, just be sure you are reading the best advice from a reputable source. What bad advice have you been given? What happened to your business’ marketing campaigns as a result? 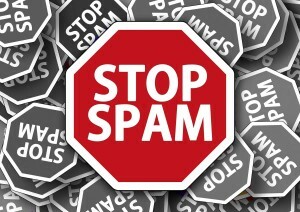 How can you stop spam? Email marketing has been plagued by one tactic that has always meant that businesses have to be careful how they conduct themselves: spamming. The practice, where customers are sent copious numbers of emails or are sent emails they never wanted, has led to legislation across the world. Some countries have included legislation that has meant that a company found sending spam could face hefty fines. Spam isn’t exactly worthwhile. Unsolicited emails generally produce poorer results, low return on investment and damage brand reputation. While having a large enough list of names might offer better sales over one email – in the long term and after potential legal costs, the returns will be greatly diminished and your brand’s image ruined. It is the company which is represented in the email, and not any third party supplier, who is responsible for the conduct of the email marketing campaign. Therefore, it is important that you know how to avoid sending spam. In theory, this only requires the careful implementation of three checks in your campaigns before you send a single email. Here are the three checks you must complete to avoid sending spam and ensure your subscribers only get the messages they want. The first and most important check is to ensure that your subscribers are only those that have signed up to your email marketing list in the first place. It is illegal to send emails to anyone who has not opted to receive emails. While it is not a legal requirement in every country, the best way to ensure that this step is taken is to use the double opt-in methodology. This is when a subscriber signs up to your mailing list on your website or another platform (i.e. social media) and is then sent an email asking for their confirmation. This helps to prevent your emails being marked as spam by ensuring that your subscribers know what their actions will result in. It also gives them a chance to say they don’t really want the emails or to prevent a third party from signing up people who have no interest in your products and services. Many email marketing service providers make this system available as part of their service for free, so there is no complicated programming or other activity to undertake. Another important action is to ensure that you are sending the right emails to your subscribers. This process, known as segmentation, is a vital step to ensure that your business’ contacts aren’t sent marketing messages that they aren’t interested in or that are irrelevant to them. For instance, imagine you run an electronics store and you have a deal on a complimentary product to another. Sending it to everyone on the list will result in many people receiving the email who don’t have the original product and therefore, buying the complimentary product is not worthwhile. By segmenting the list so that only those who have bought the first product can result in better uptake and results. Segmentation can take many different directions so it is best to understand your audience and use their behaviours to help you determine what segment they need to be assigned to. The more emails you send, the more like spammers you will appear. That is the simple conclusion from those that continuously send emails. Customers grow weary, even if all they do is delete your email. Therefore, consider how often you are creating your email campaigns and sending them out. There isn’t an optimum number for the frequency of emails to send per week as it will differ between audiences, industries and products. However, if you are getting a high proportion of complaints or a high unsubscribe rate with your email campaigns, you might need to rethink your strategy. If you segment your list, as mentioned above, this can also help reduce the number of emails each subscriber will receive. Email marketing is highly effective when it comes to generating interest and sales for your brand’s products or services. But it is important that you ensure your company doesn’t practice spamming tactics. To comply with laws and best practice, it is best to use the double opt-in methodology, segment email lists and limit the frequency of emails. This way you will always seem legitimate and be in favour with those on your mailing list. Black Friday is quickly approaching and businesses across the world have begun thinking about what offers they can give their customers. Black Friday is one of the biggest shopping days in the retail calendar and the revenue generated continues to rise each year. One of the main drivers for sales on the day was email marketing. According to retailers, a fifth of all sales originated from emails sent by retailers. So how can you utilise your email lists to receive your share of the day’s sales? The first thing you need to do is ensure that your email marketing list is as strong as possible. This means gaining as many new leads as you can. Offering small discounts for signing up to your email list or promising subscribers exclusive offers can help boost signup rates. The next step is to trim down your email marketing list. Remove those contacts that haven’t opened an email for six months and those who haven’t clicked through to your website in about three months. These are people who aren’t interested in your marketing message and therefore, aren’t worth emailing. Considering that the number of contacts on your list can affect the fee you are paying, you can save money by removing the dead wood from your mailing list. Planning what deals will be available on the day and through to Cyber Monday. Planning how you are going to market these deals. Creating a series of emails to promote the day and the offers. Creating extra capacity on your website’s bandwidth (so you don’t go down during the day). This is the most critical aspect of your email marketing campaign for Black Friday. You are likely to have numerous deals available for your audience across the store. However, only a few of these will be applicable to each customer. Getting the right message to your audience will be important to generate the best results. To do this you should segment the list completely. Look at what customers have taken an interest in. Include cart abandonment, what they’ve viewed, what they’ve clicked on before and previous purchases; then use these to segment your email marketing list. Each segment needs to be matched with a series of offers that will be available on the day. Black Friday 2014, saw one statistic that should be carefully considered – mobile marketing. Many of the sales from emails were also from mobile devices. Trending over the last few years has seen m-commerce take off. Ensure your emails are mobile friendly to be ahead of your competitors. The first few emails that need to go out don’t need to mention any specific details. They can be a simple message at the bottom of your current email copy informing customers that you will have promotions available on Black Friday. During the week (or two) before Black Friday you’ll want to start getting subscribers excited by detailing some of the offers that you will have available on the day. These messages should be sent out at least once every couple of days to really increase interest and get subscribers anxious about getting the deals. 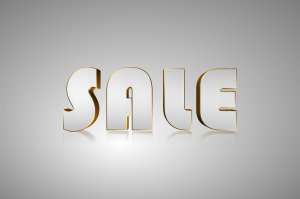 The more interest you can create, the quicker the sales will come in on Black Friday. If you are able to get the segmentation and deals just right, you can then start to sell just after midnight and see a steady stream of revenue throughout the day. Black Friday is one of the most important retail shopping days in the world. It offers customers a chance to grab a deal and you the chance to earn a lot of revenue. Email marketing is by far one of the best performers for the day. 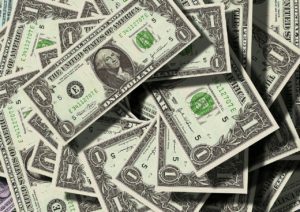 By preparing in advance, you can reap the rewards and gain substantial revenue from the day. How are you preparing for Black Friday? Have you started preparations yet? Prepare your email marketing list. Start promoting your Black Friday deals.